Pistachios have a sweet, almond-like taste and are mainly used for sweets and baked goods but also for cooking and in ice cream. Particularly popular are pistachio nuts for nibbling between meals, because raw they are both tender and crunchy, and roasted they have a lovely spicy taste. The up to 12 m high pistachio trees are part of the sumach family (Anacardiaceae) and are at home in the Near East. Pistachios were already cultivated in ancient times, today they are mainly grown in Iran, the USA and Turkey. The edible light green pistachio nuts have a brownish skin and are surrounded by a thin, hard shell. 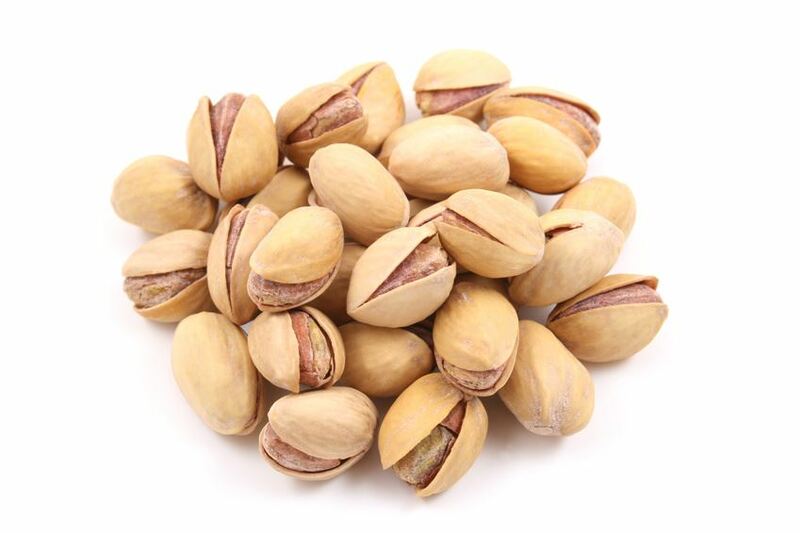 Pistachios are rich in fibre and have a high nutritional value.